This image is a good one in spite of the quality being to dark and sad it is of printed type. 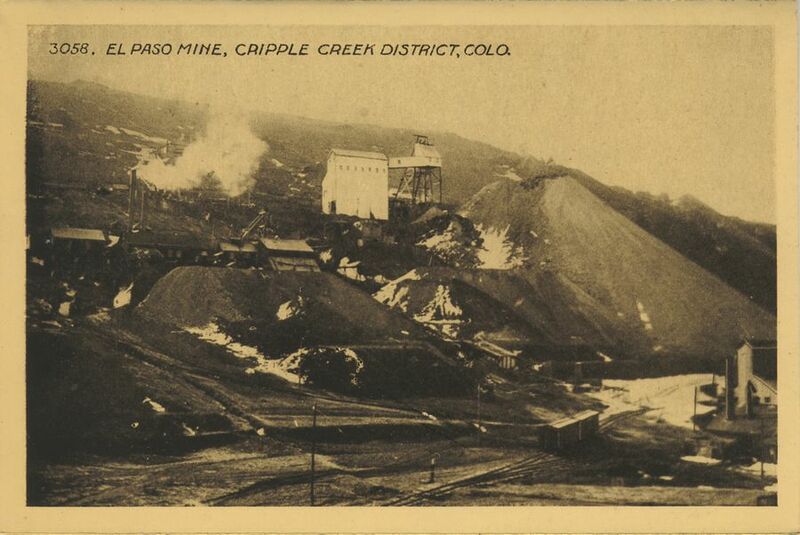 But, the scene it shows makes it great as it shows the short lived Switchback branch of the Florence & Cripple Creek that went down Beacon Hill to the Henry Adney & Old Gold mines in the valley below the impressive El Paso Mine, seen with is light colored large ore house and partly built in head frame about 1/3 from top at center of image. A little below that at left is the C.K. & N. Mine and in lower right hand corner is the Henry Adney mine with a couple of F. & C.C. boxcars standing on the track nearby.